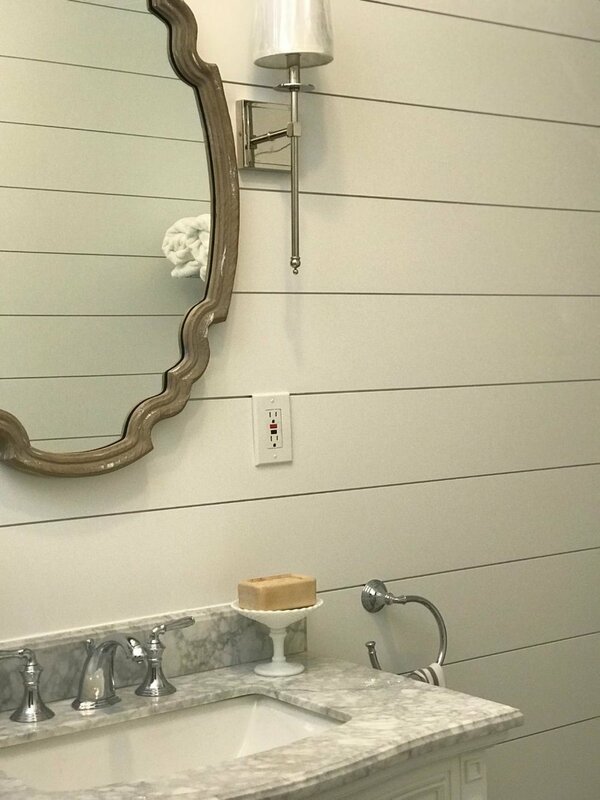 Shiplap adds detail and interest giving this bathroom it’s wow factor. If you like this post please go to our Facebook page and like us at https://www.facebook.com/gormleydesignsllc . If you would like to see more transformations please go to our website at www.gormleydesignsllc.com. 1)Replacing the simple beamed ceiling with this coffered ceiling and accent lighting creates drama and focus on the fireplace. 2)Replacing the modern windows and window coverings with a more traditional style creates a warmer feel to the space. 3)Hardwood floors replace the existing carpet to finish off the look. "I Love My Neighborhood but I Don't Love My House"...5 Things You Can Do to Give Your Home a Makeover." 1.) The first thing we did was change the style of the home to a Hampton style. This dramatically updated the home. 2.) We also opened up the floor plan creating a kitchen - great room connection that is more conducive to family time. 3.) We enlarged the garage to a three car garage that opens on the side. 4.) We created suites for the bedrooms so they would have private full baths for 4 of the bedrooms. 5.) Vaulting the ceilings makes the home even feel more spacious. 1)Adding the dormer and decorative windows above the garage helped add some detail to the large roof area. 2)We changed the siding from vinyl to James Hardie shake and the color from beige to "Light Mist." 3)Removing the shudders and enlarging the trim really updated this home. 4)Finally the arched portico over the door not only creates a place to get out of the rain but also gives the home decorative detail and style. Site design by Bridgework & Co.